I have to admit that when I got the opportunity to study in Torun I felt scared and wondered whether or not I would like it because I spent most of my life living in big cities. To my surprise, Torun appeared somehow magical and despite its small size, it can offer a lot to both tourists and those seeking to live there. 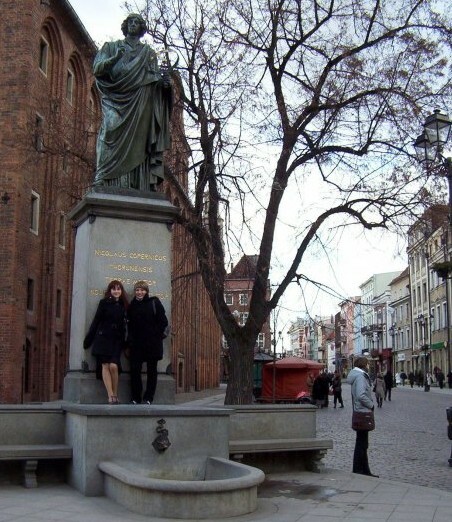 What to do in Torun in Poland? While Torun is inhabited mostly by students, tourists can enjoy themselves as well. They can visit his house and find out about his discoveries at the Planetarium. His statue, located in the Main Square of the town, has become the most popular place to meet your friends before heading out to the bars or a party. Since 1945, the university in Torun has been named after Nicolaus Copernicus. 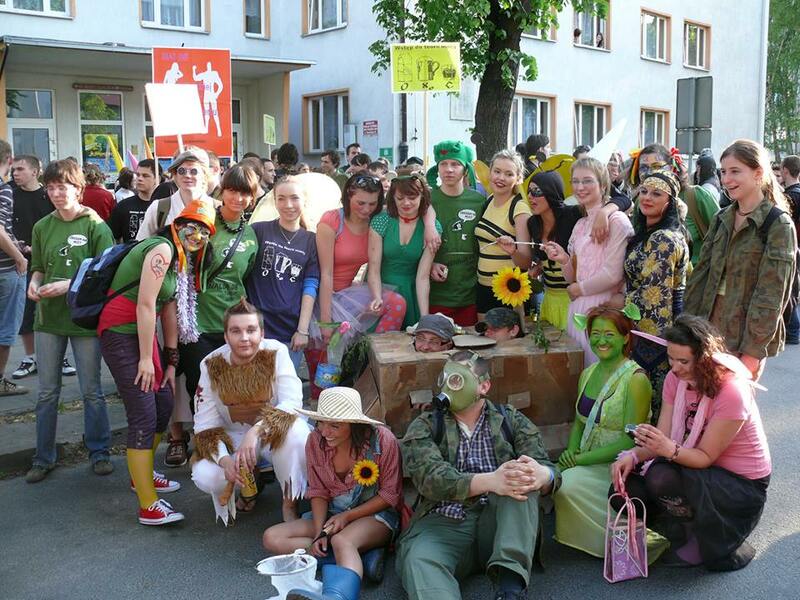 The university offers various different programs for both, Polish and exchange students. The atmosphere at the campus is great. After you meet your friends in front of the Copernicus statue you should head to one of the bars. My personal favorite is student bar Kadr (English: film frame), filled with old movie posters and film strips hanging from the ceiling. Torun also hosts various events. Juwenalia, hosted in late May, is a student event where the mayor of the city acts out a symbolic gesture by handing the keys to the city’s gates to the students. The whole town’s populace dresses up very colorfully and dances in the streets. Even Copernicus himself (obviously the statue) gets dressed up by the students and acts as a fundraiser for the second bridge in Torun. Another reason for Torun’s fame is its delicious pierniki – gingerbreads. Not surprisingly, their popularity has led to their being sold throughout Poland. However, in Torun tourists can make their own gingerbreads at the Muzeum Zywego Piernika. Torun also has a famous motorcycle racetrack where various Grand Prix and European Championships have been held. The Old Town of Torun is still very medieval because Torun avoided bombardment during the Second World War. In the mid 13th century, the Teutonic Knights (The Order of Brothers of the German House of Saint Mary in Jerusalem, also called Order of the Cross) built their castle in the old town. 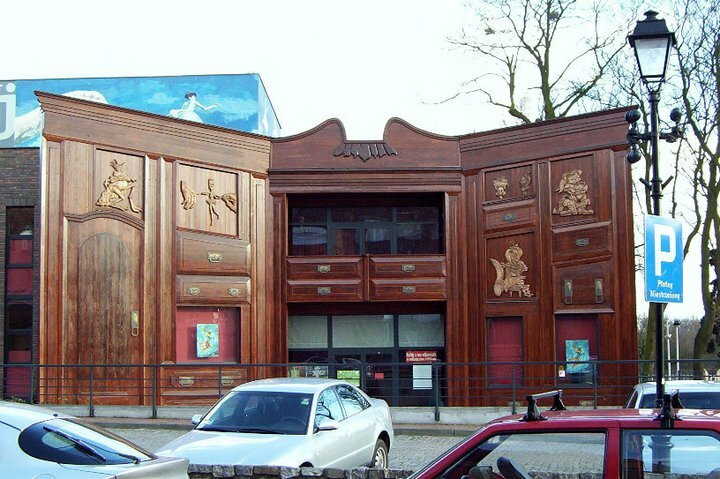 As a result, the architecture of Torun is absolutely precious. 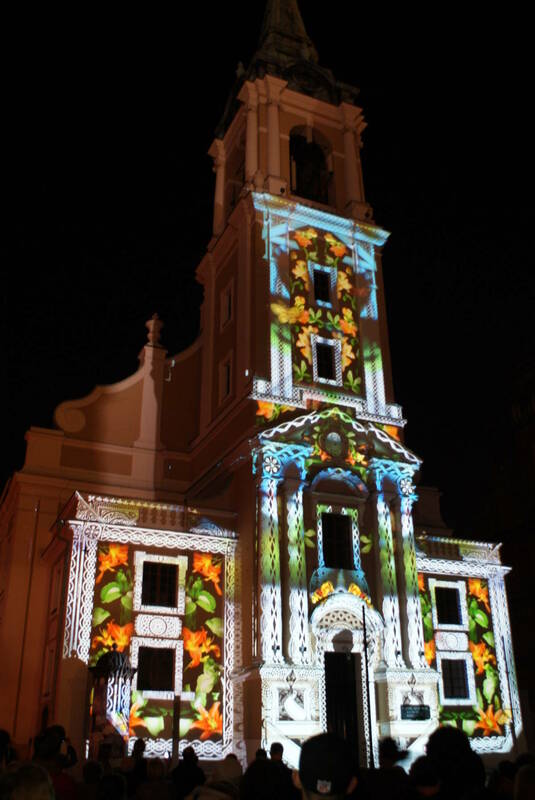 The focal point of the Main Square is the imposing three story Town Hall with its Gothic tower, which at 138 ft high offers stunning views of the surroundings and the Vistula river. Nowadays the tower is a part of the Regional Museum where I had pleasure to work. 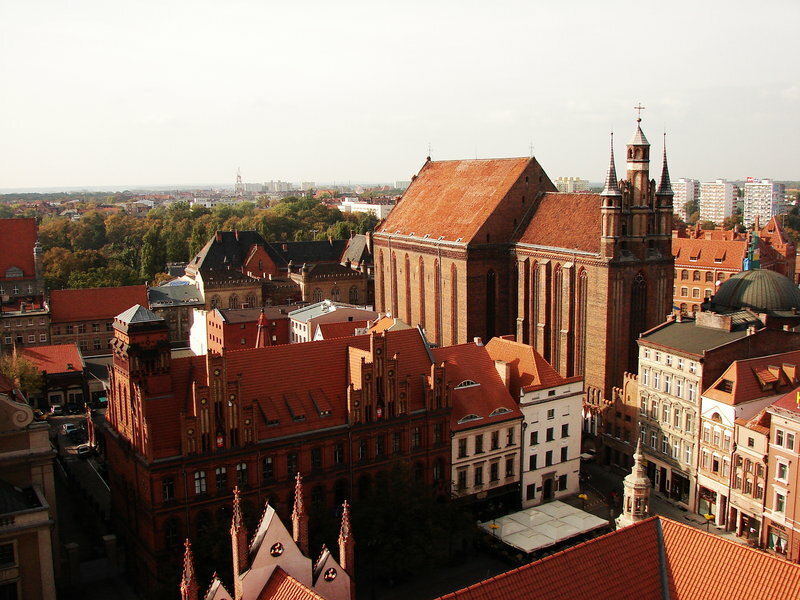 Although the overall view is impressive, Torun is a town of details. A famous donkey sculpture attracts tourists who find it incredibly adorable and love to sit on it. This statue is actually a recreation of an old wooden medieval donkey that once stood in exactly the same place in order to punish criminals. The straps on the donkey attached to a sharp metal rod along its back. Criminals were seated and tied to the donkey and flogged as punishment for their crimes. Another interesting animal statue is the Fountain of the Raftsman and the Frogs . A legend states that when the city was infested by a plague of frogs, a raftsman managed to get rid of them simply by playing his violin. One cannot talk about Torun without mentioning its excellent bars and restaurants. Because the space here is limited I’m only going to mention one of each and I’ll leave the rest for you to discover. 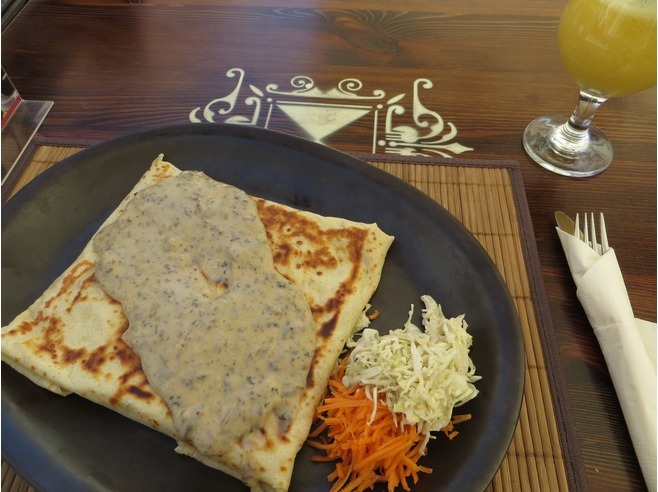 In the Main Square it’s impossible not to stop by Manekin – Torun’s famous crepe house. It serves extremely tasty, affordable and huge crepes with more than more than 50 fillings to choose from. It also serves famous Polish soups in edible bread bowls. I always loved that the toilet has a huge bunny staring at you from the ceiling. 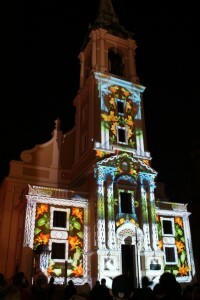 During the summer Torun also hosts a light festival called SkyWay when the whole Old Town is transformed into a large cinema which shows the play of lights. Radio Maryja is the (in)famous (in this case) thing associated with Torun. This socially controversial radio station led by Father Director Rydzyk spreads its political thoughts through mass broadcasting, mixing politics and the Catholic faith.